The Clegg Impact Soil Tester manufactured by SD Instrumentation Ltd (SDi) provides a means for measuring and controlling soil strength and consolidation levels in both road applications and sports surfaces. In-situ testing during road trench re-instatement is provided with the 4.5 Kg, 10 Kg and 20 Kg versions. 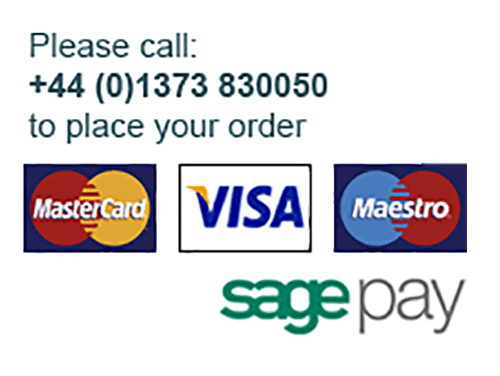 Sports surface testing such as golfing greens, tennis surfaces, football, cricket and rugby pitches are provided by the lighter hammer weights. These being 0.5 Kg types for golf and 2.25 Kg for other sports turf. In both roads and sports surface applications It is also used to confirm uniform compaction of over wide areas of ground, identifying poorly compacted areas and ineffective rolling of materials. The most popular Clegg instrument is one using a 4.5 Kg hammer. Heavier duty 10 Kg and 20 Kg versions are manufactured by SDi for testing harder materials and roadworks. The Tester consists of a compaction hammer operating within a vertical guide tube. When the hammer is released from a fixed height it falls through the tube and strikes the surface under test, decelerating at a rate determined by the stiffness of the material within the region of impact. A precision accelerometer mounted on the hammer feeds its output to a hand held digital readout unit which registers the hammer deceleration. For sports surfaces the readings are displayed in Gravities whilst for road applications the displayed readings are Impact Values (IV). The IV indicates soil strength and shows good correlation with Californian Bearing Ratio (CBR) test results. 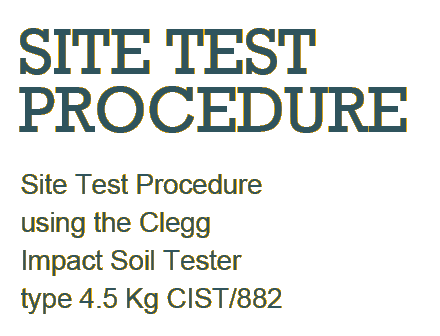 The Clegg Impact Soil Tester is manufactured and marketed by SDi under an exclusive licence from Dr Baden Clegg Pty Ltd, the Australian Inventors.